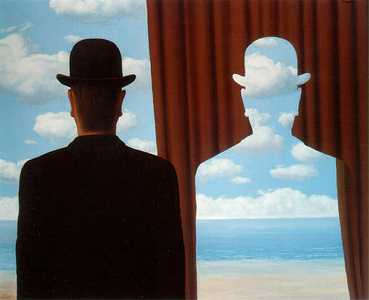 Magritte painted two of these paintings with the same name, The Human Condition, the most well-known of which is the version painted in 1935. 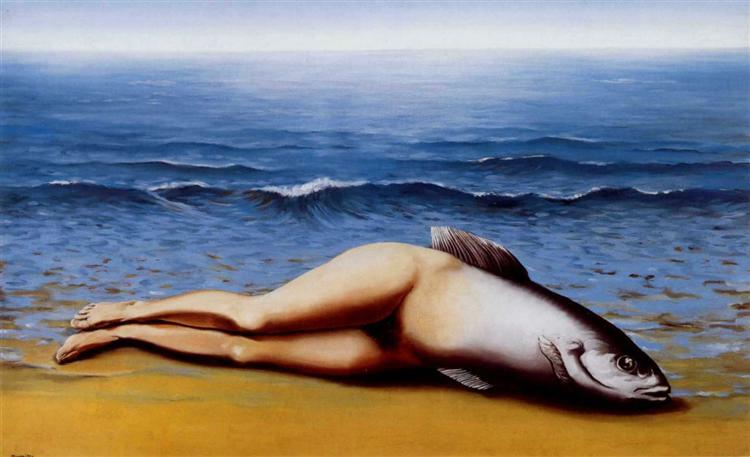 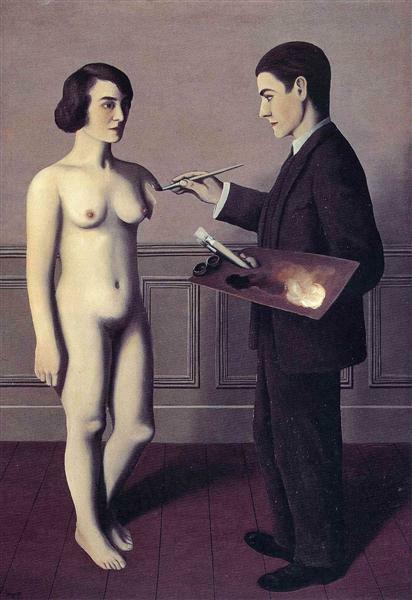 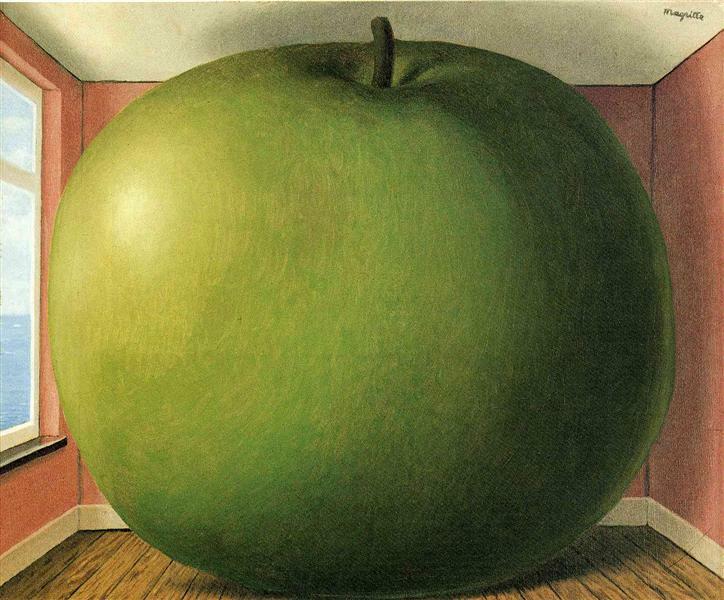 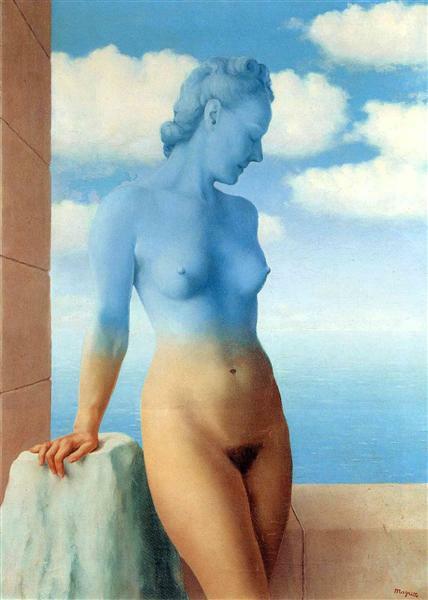 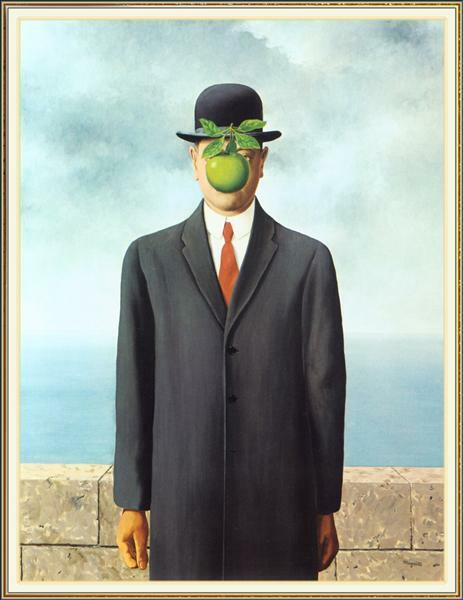 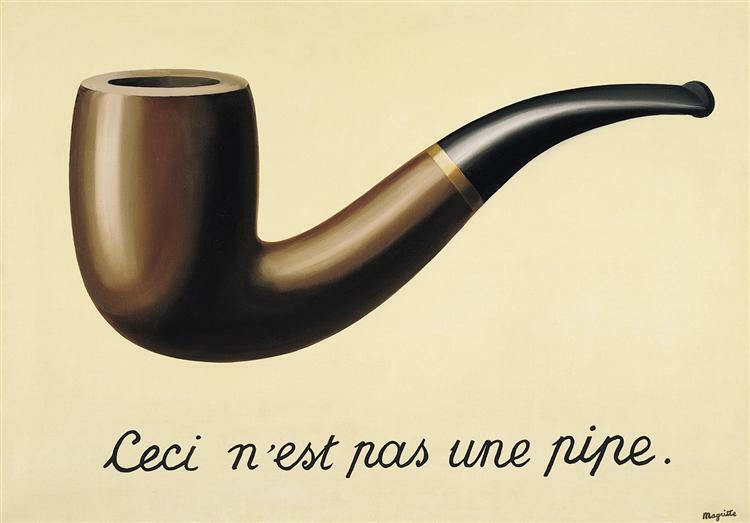 A recurring theme in Magritte’s works is illustrating an object that is covering up whatever is behind it. 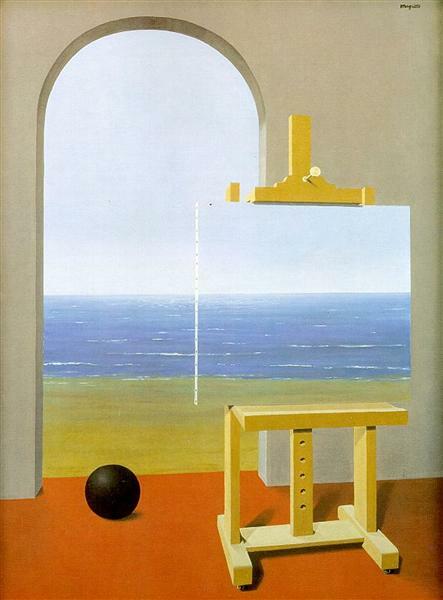 In this painting, the easel used to paint the seascape outside of the doorway is also hiding the doorway, as well as the seascape. 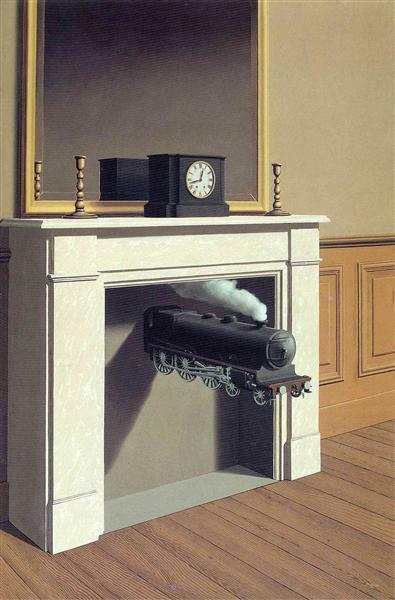 The image painted on the canvas also merges with the actual image outside of the doorway, making a seamless transition between the two. 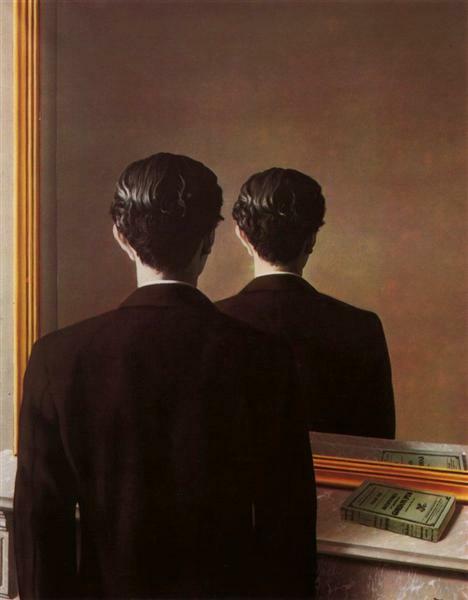 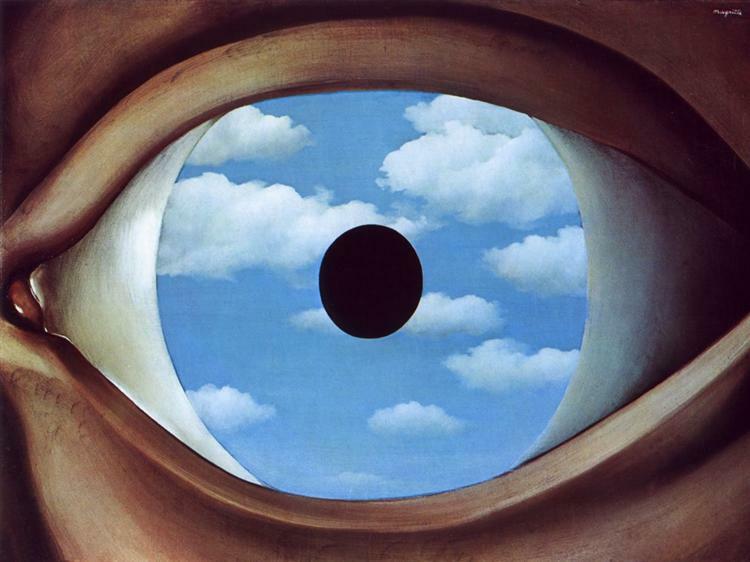 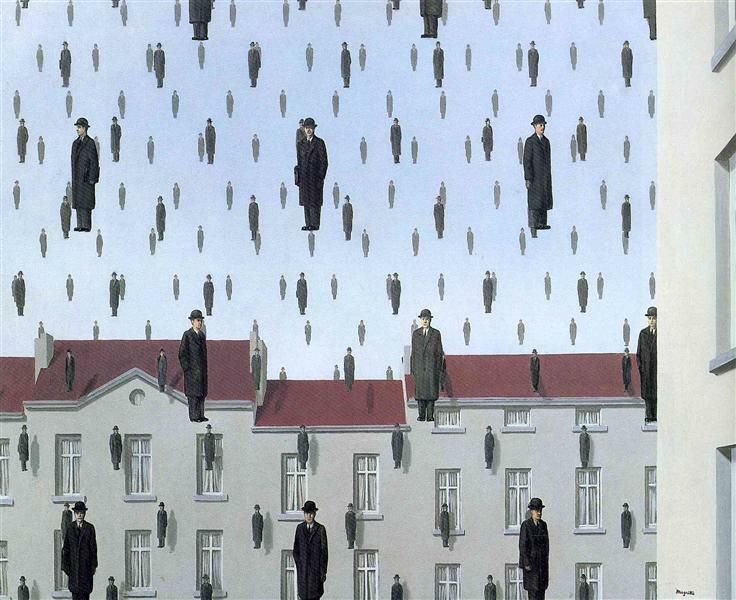 Magritte recycled this theme recurrently throughout his painting career, making many variations on the theme of including a painting within a painting, hiding whatever lies behind.